Slope Top Front Load Container | Hambicki's Truck & Container Sales Inc.
Hambicki's slope top container is the most popular container for business. 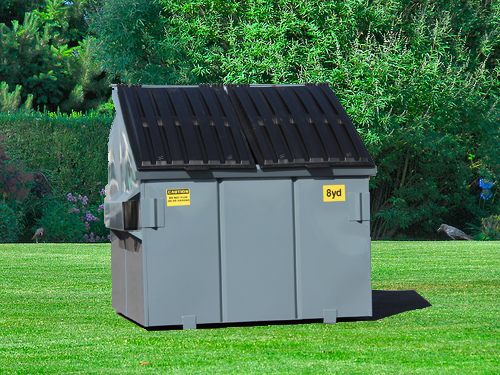 With the large 6 and 8 yard capacity, waste haulers don't have to empty as frequently as with smaller containers. The container is still user friendly with the low top for easy disposal.